An anomaly in the Duckworth-Lewis rain calculation system has been addressed in the formula being used at the World Cup, adding a third name to the complex calculation in the form of Australian academic Steve Stern. The "Duckworth Lewis Stern" formula pays more heed to the issues created by the trend of ODIs towards higher scoring, providing a more layered calculation for instances when tallies cross the 300-mark or beyond, or when extremely high-scoring overs have the potential to change the scenario dramatically. A long-running criticism of the system had been that the weighting of wickets meant a team chasing a high target in questionable weather was better off playing conservatively and keeping wickets in hand rather than being more proactive in chasing the target. "The difference between Duckworth-Lewis-Stern and the original Duckworth-Lewis is DLS starts adjusting the formula if scores get really high," Professor Stern said. "So it is an improvement for T20 matches and one-day matches with very high scores." Professor Stern has taken over from the Englishmen Frank Duckworth and Tony Lewis as the ICC's rain formula custodian following the retirement of the older men. Stern was born and raised in the United States but developed a taste for cricket after moving to Australia in 1994. He works in the Science and Engineering faculty of the Queensland University of Technology. "No one wants the game to be uninterrupted more than me. But if it's only a shower nobody wants the game to be called off," he said. "The system isn't designed to be a substitute for a full game but, if part of the game is interrupted, it's preferable to have some kind of game. "I am trying to educate more people in the game about the method and get it more into the standard parlance of cricket. I think it's incredible that even international players don't know the basic underpinnings of the rule - imagine saying the same thing about the lbw law!" 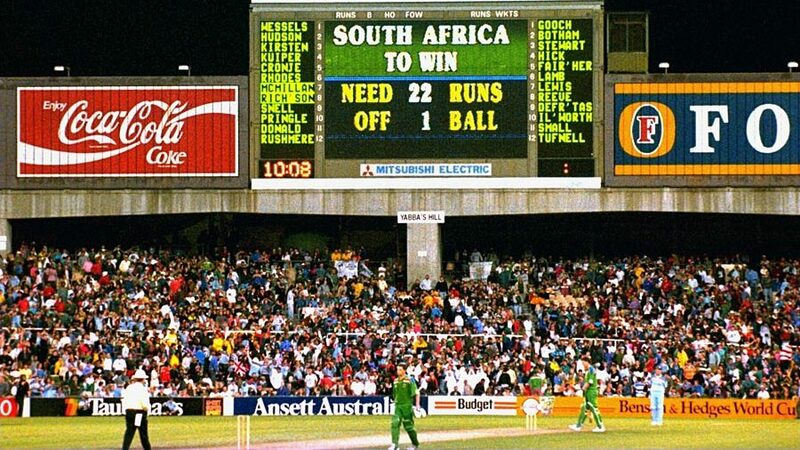 The previous edition of the World Cup to be held in Australia and New Zealand, in 1992, was marred by slack over rates and also a simplistic rain-rule calculation that left South Africa with the impossible task of scoring 22 runs off one ball in their semi-final against England at the SCG. A brief shower had interrupted play when the South Africans required 23 runs from 13 balls.